The PM PROjEN Bioenergy Division was formed in early 2010 and quickly became a major player in this arena with a number of significant project successes and a notable contribution to improving Health and Safety performance by bringing learning and good practice from other sectors. 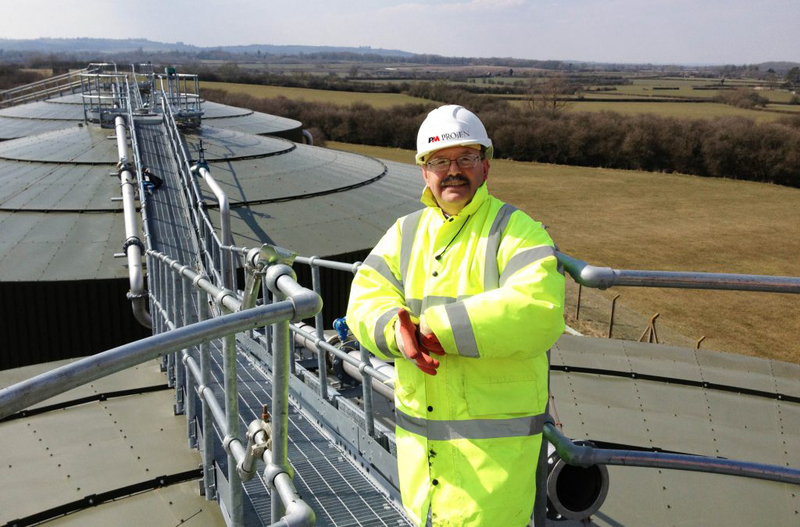 Since its inception, the division has taken on a wider range of projects encompassing Anaerobic Digestion and Biogas, Biomass, Liquid Biofuels, Waste Water Treatment and Energy Centres leading us to rename the division, Energy and Environmental. The division was established to bring to the market our unique mix of over 30 years’ of experience in the design and build of a variety of complex process plants in the Energy and Environmental sectors. The team consists of a number of key individuals who have been involved in some of the UK’s most iconic installations over the years. The division is headed by Engineering Director, Nevin Elliott and the technical team is headed by Dr Les Gornall and Dave Auty – probably two of the most recognised and respected members of the Bioenergy ‘community’. PM PROjEN’s reputation and presence has grown significantly as many realise that PM PROjEN’s design and build experience coupled with its expertise in health, safety and legislation matters make it an ideal partner for clients with Energy & Environmental related projects. PM PROjEN is technology agnostic i.e not tied to any particular technology or supplier, thus ensuring that the customer gets the best fit solution every time. All project stakeholders are after the same goal – a fully designed and integrated project solution that enables an investment decision to be made confident that risks, costs, programme and all production, legislation, energy and environmental aspects have been identified, analysed and costed. The PM PROjEN Energy & Environmental team have the capability to deliver these designs and take them through to project completion on a turnkey basis or act as the Client’s Engineer if preferred. Please follow the links on the left hand side of the page to see more details about our work with Biogas, Biomass, Liquid Biofuels, Waste Water Treatment and Energy Centres.